Cultus Lake is situated in the Coast Mountains, 102 kilometres from Vancouver and 13 kilometres south of Chilliwack at Exit 104 off the Trans-Canada Highway. This picturesque lake is located on the edge of the Fraser Valley near the Village of Yarrow. The Sto:lo, the people of the Fraser River, refer to the lake as Swee-ehl-chah or Tsowallie. Cultus was originally a Chinook word meaning bad or worthless. Chinook mythology explains that the lake is home to slalakums, evil spirits or supernatural people who live at the bottom of the lake. Evil spirits may explain why mysterious events occur around the lake, including sightings of the legendary sasquatch, as well as people just disappearing on the lake. At the turn of the 20th century, Cultus Lake was used as a booming ground in the logging industry and gradually evolved into a camping and picnicking area for locals from the valley. Eventually summer cottages became permanent residences and a community emerged, particularly in the northeast corner of the lake. 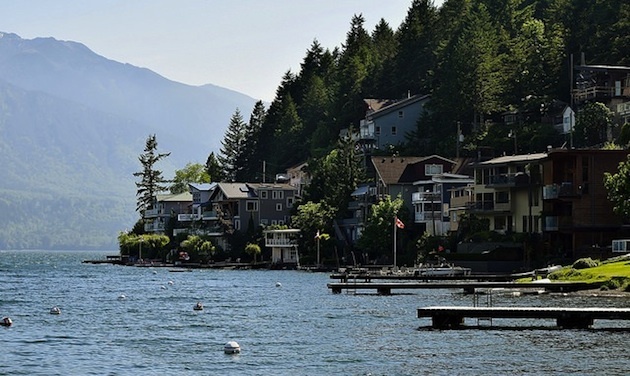 Approximately 1,200 people now make Cultus Lake their home, and the settlement is administered by the local park board. Cultus Lake is really all about activities on the water, from boating to canoeing, water skiing, jet boating, kayaking, paddle boarding, swimming and fishing. 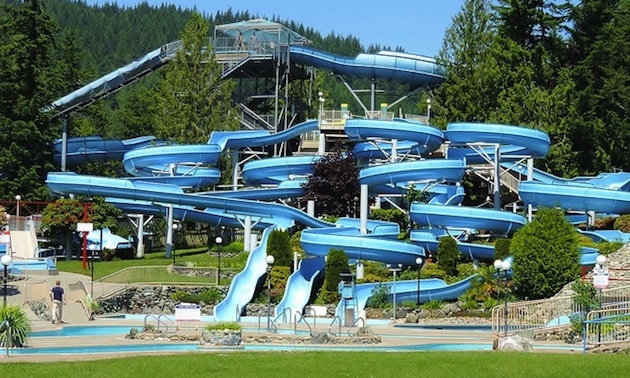 There is a wonderful waterslide in the village that is ranked as B.C.’s no. 1 waterpark. Cultus Lake is not large, covering an area approximately two kilometres by six kilometres. The Sweltzer River drains the lake into the Chilliwack River. The provincial park on the south side of the lake, off the Columbia Valley Highway, has almost 300 individual sites in four separate camping areas. Located at the west end of the lake is Thousand Trails RV Resort along Lindell Beach. At the eastern end of the lake is Sunnyside Campground, advertised as the Perfect Family Getaway. 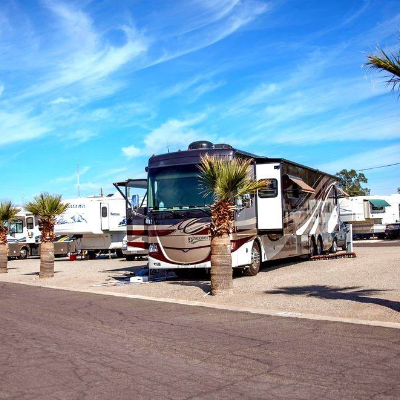 Sunnyside is the major RV park in the area and includes 104 fully serviced sites for all sizes of RVs. For those who tent, there are 132 campsites, all within a short walk to the beach. There are 348 seasonal RV sites, which become permanent during the summer months. Amenities in the campground include washrooms, hot showers, a laundromat, playgrounds, a convenience store, a boat launch, boat rentals and a sani-dump. I asked Allison Levesque, administrator at Sunnyside, what was special about their campground. She explained the amenities and delighted in talking about the outdoor movie nights during the summer. 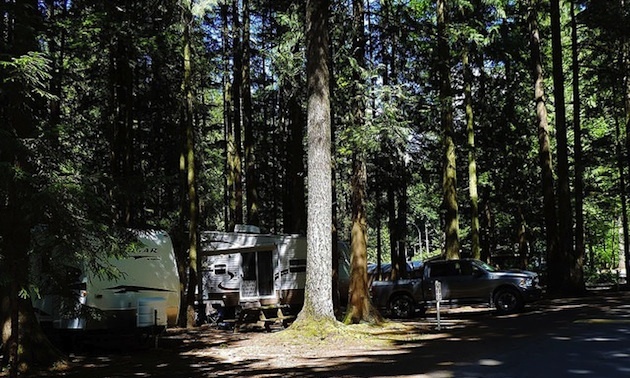 Other options for RVers and campers is the Vedder River Campground near Yarrow and the Sweltzer Creek Campground on the Soowahlie Indian Reserve. 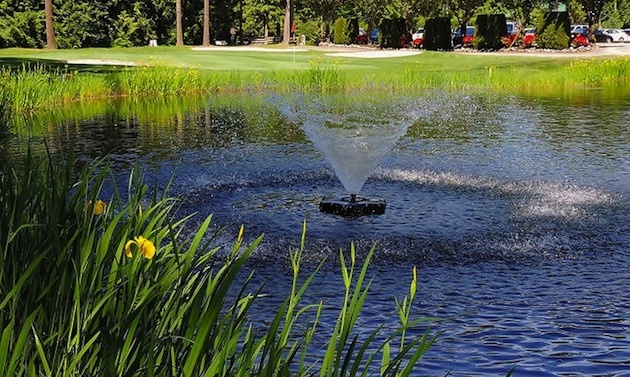 The area offers two unique public golf courses, each only a short distance from Sunnyside. There is a third course featuring a miniature golf course as part of Giggle Ridge, a Family Adventure Center. Tap-Ins is located mid-way between the Cultus Lake Waterpark and Sunnyside Campground. This is not miniature golf, but a fully manicured putting course of 18 holes, with a par of 70. Throughout the course are sand, rock and water hazards, including a waterfall. 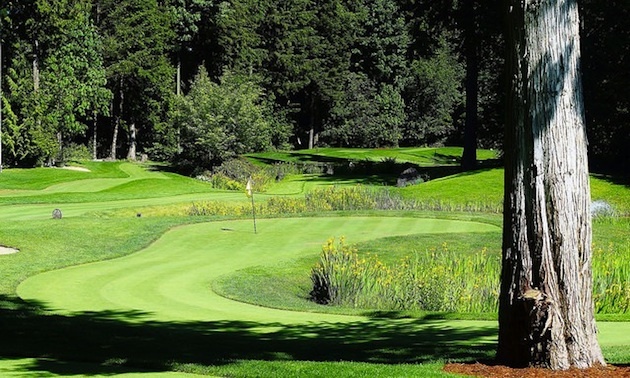 The course is surrounded by the Cascade Mountains, beautiful trees and lush grass. Tap-Ins is a family business which has been operating for 15 years. Even my wife, a non-golfer, thoroughly enjoyed her afternoon at Tap-Ins. 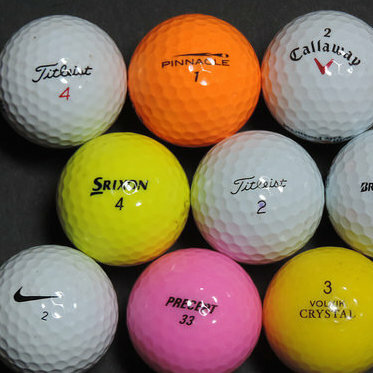 As for any holes-in-one and the special prizes, she will have to wait for another round. 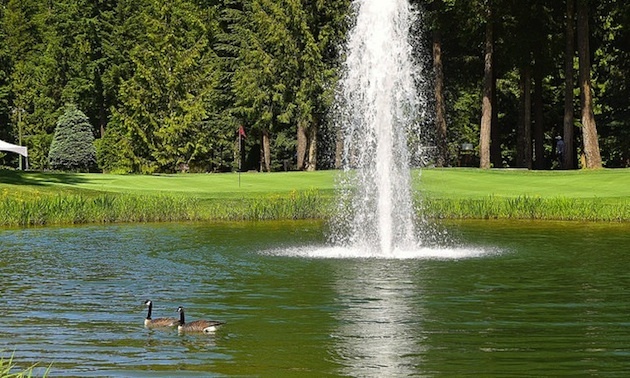 The second golf course is the Cultus Lake Golf Course, next door to Tap-Ins. In 2012 this course was voted the Best Executive Golf Course in the province by Golf West Magazine. The course is carved out of the forest of fir and cedar trees. This Par 63 course at nearly 4,000 yards has ten par 3s, one par 5 and seven par 4s. The course was designed by Rob Bahnman and opened in 1990. Cultus is an enjoyable course to play, with reasonable rates, and has the pleasant Legends Bistro at the 19th hole. A golf course does not have to be 7,000 yards with a slope of 135 to be considered good. Distance is not always better. 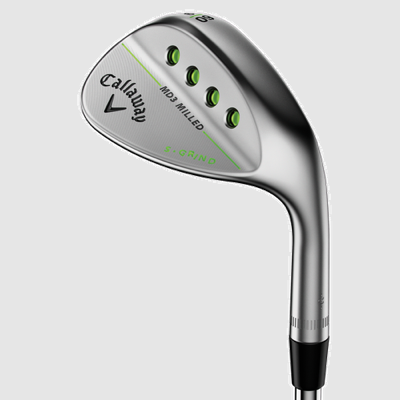 Lower handicap golfers will find that the narrow fairways, large trees, ponds and small greens can be a challenge. Cultus Lake Golf Course also includes a 20-stall covered driving range, 100-yard practice hole and a fully stocked pro shop. It is open year round. Both golf courses have adjusted to the golfing market, catering to retirees and families who may not be able to afford a championship course. It is refreshing to realize that the game of golf can be adapted to handle all levels and is not restricted to just skilled players. 4Cultus Lake is a beautiful recreational area that every visitor can enjoy.